MAC DIVINE NIGHT COLLECTION SNEAK PEEK! Here are a few photos from MAC’s Christmas 2013 collection entitled Divine Night! As yet there is no official colour story but the Christmas collection will feature mini sets as well as a colour collection. The mini sets include lip glosses, lip balms, pigments and glitters. A gold eye palette in limited edition packaging includes five shades, two other makeup sets includes 3 shadows, powder/blush, 2 lipstick shades and a pencil. Big Dolls Eye Set features In Extreme Dimension Lash 3D mascara, blacktrack fluidline, two further products and makeup bag. 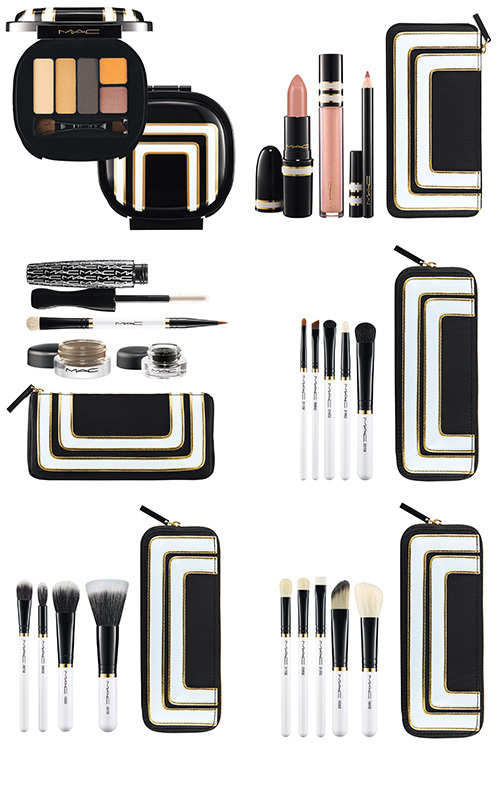 The Beauty Lips Set features a lipstick, gloss, lip pencil and cosmetic bag.